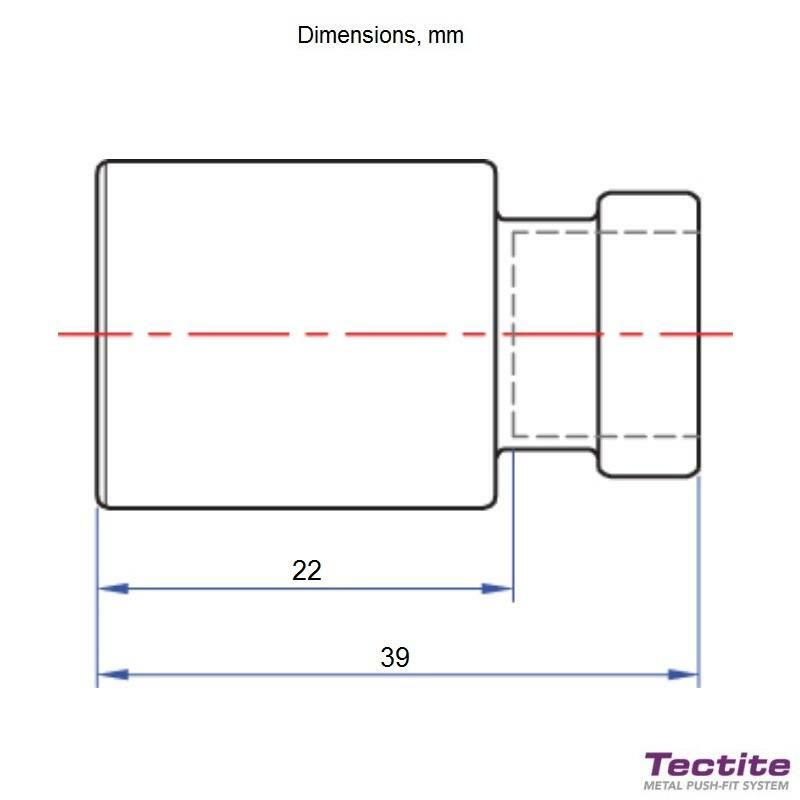 TECTITE Manufacturer's Product Code: 75525. 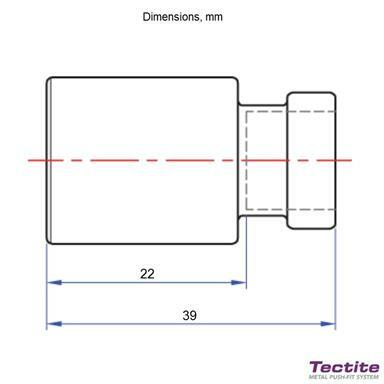 The Tectite Sprint Metal Push-Fit 22mm x 15mm Coupler TT6/TT243; Connection: Larger end male for insertion into fitting x Push-Fit, 22mm x 15mm. 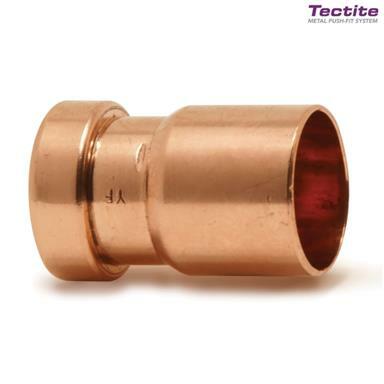 Tectite Sprint is a range of heat-free metal push-fit fittings, designed for use on hot and cold water services, heating and chilled water applications and low temperature hot water services. 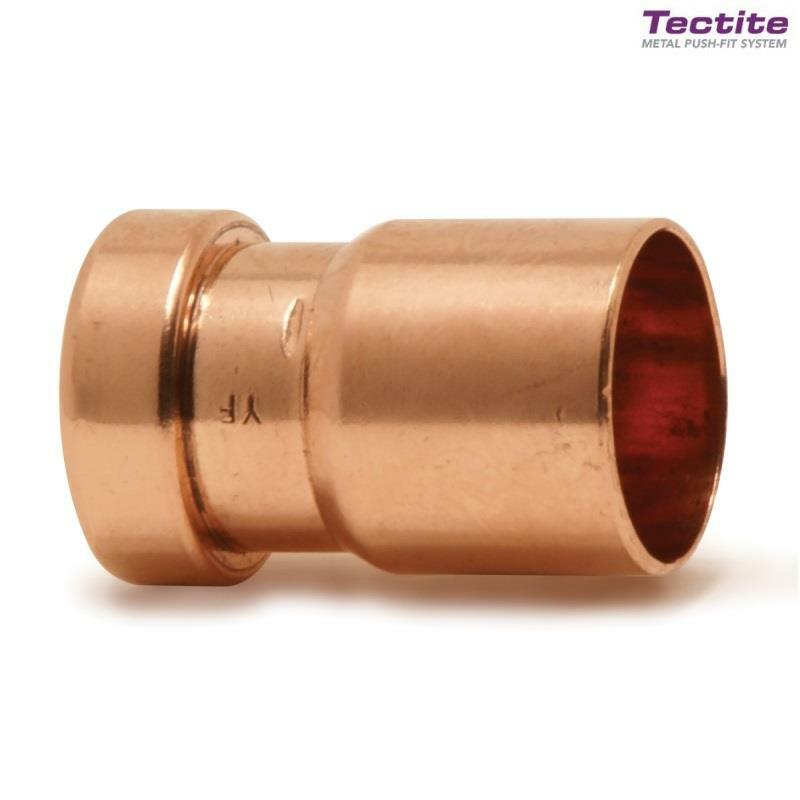 Tectite Sprint fittings makes jointing easier, faster and more cost effective than traditional jointing methods – a fittings system which simply pushes together in seconds to create a perfect joint. - Domestic and Commercial applications. - Non-demountable fitting: Prevents tampering once installed. - High speed and clean jointing technique: Significant installation time and cost savings, also less finishing/cleaning required. - Suitable for use on: Hot and cold potable water; Central heating systems from boiler to radiator; Chilled water services; Hot water re-circulation. - NOT suitable for use on gas applications. - Up to 20 bar @ 30°C/10 bar @ 114°C performance (copper tube). - Low profile: Slim copper body, attractive and easy to insulate. - Rotatable joint: Makes working in confined spaces easier. - Wet jointing: Can be used on wet pipe work. - Grab first design: Prevents full bore failure of joints. 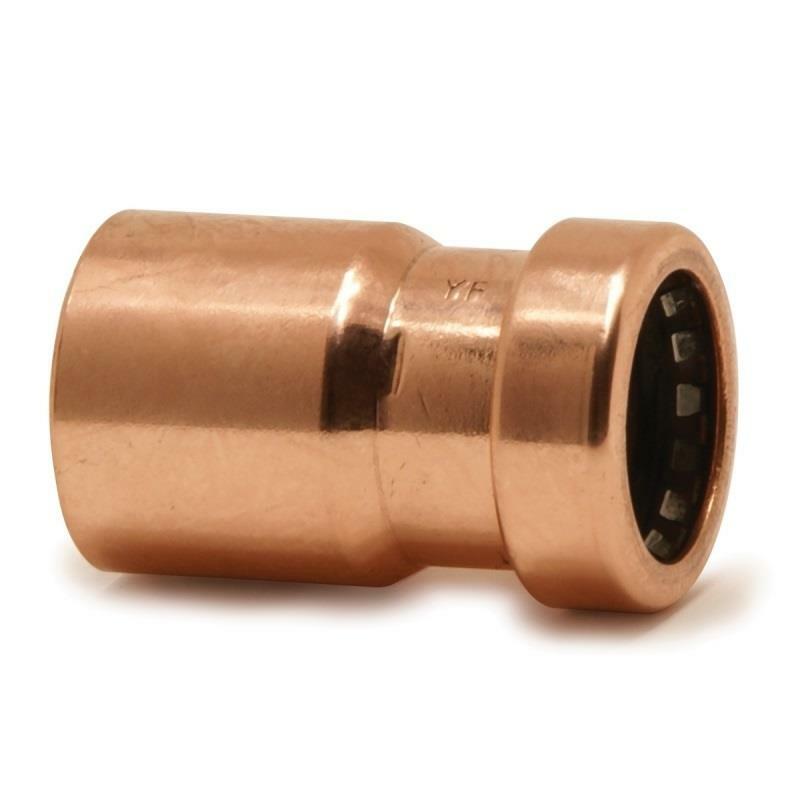 - Highly versatile: Compatible with plain and chrome plated copper tube to EN 1057, Polybutylene to BS 7291-2, P-EX and Tectite P-EX pipe to BS 7291-3. - Heat free installation: No hot work, no risk of collateral damage to fixtures and fittings. - Flux free: Less mess, less flush cleaning and less risk to boilers, pumps and valves. - Metal body: Provides electrical continuity and resistance to rodent attack. - WRAS and DVGW approved. - Material: Body - Copper; 'O' ring - EPDM; Pipe guide - Glass filled nylon 6; Grab ring - Stainless steel; Protection ring - Nylon. - Tectite Manufacturer's Guarantee: 25 years against manufacturing defects.